D.G. Fredlund is the author or coauthor of over 460 refereed journal articles, conference proceedings, technical papers, and chapters in edited collections. In 1993, he coauthored Soil Mechanics for Unsaturated Soils, the first major text on unsaturated soil mechanics published. He has served as a research consultant to the Government of Hong Kong, U.S. Army Corps of Engineers, and Saskatchewan Highways, and presently is head of the Golder Unsaturated Soils Group, Canada. H. Rahardjo is head of the Division of Infrastructure Systems and Maritime Studies at the School of Civil and Environmental Engineering at Nanyang Technological University in Singapore. 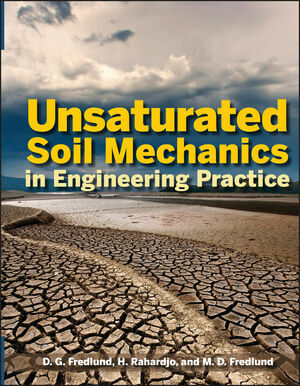 He is the coauthor of Soil Mechanics for Unsaturated Soils and over 200 technical publications. M. D. Fredlund is the President/CEO of SoilVision Systems, Canada, a geotechnical/hydrological software development and numerical modeling company.